Let’s push the drone thoroughly until you can steer without thinking! In previous maneuver training drills I mainly introduced two-dimensional movement practice method. I understand if you can do this training, but I think that you understand how difficult it is to manipulate the drones. Even if the function of autonomous flight such as phantom 4 is solid, in order to use it in truly “aerial shooting” etc, always be aware of the direction of the drone camera. To keep the camera at the subject with the camera position fixed and with the subject centered on it, a considerable drone judgment is required. I can also convince you that it was written that it is necessary to have at least 10 hours of drone operation experience in the application for flight permission by the Ministry of Land, Infrastructure and Transport. Training is something I always want to do if I really want to use it for work. At first you can not operate the dolone camera position and how to move it unless you think about your head and body as well. However, as the driving of the car improves little by little in the driving school of an automobile, if you train each one firmly and firmly, you will be able to operate the drone with your body without thinking. For business use, you need to raise the technology until you can steer a drone, without being conscious of almost stick operation. If you get too close to obstacles or other things that are prone to beginners, many human errors can be prevented if artificial mistakes such as drone orientation and confusion of stick operations are firmly pushed into the body. Furthermore, loss of unnecessary thinking and action is reduced, so that many troubles can be calmly dealt with. Although the introduction has become longer, let’s practice about the 3-dimensional movement unique to Drone this time. In other words, in the last training I was trained without changing the height of the drones. Once we decided the height of the drones, it was good that we had two dimensional movement. First is practicing quadrilateral movement. I think that this training can be done relatively easily. The degree of difficulty changes depending on the position of the pilot. Details will be explained in conjunction with the next training. Although the direction slightly differs from the convenience of illustration, let’s do a circular motion with 3 dimensional movement! I think that it is possible to pilot relatively easily if I have steered training so far. In addition, the operation feeling changes depending on whether the pilot’s operating position is facing forward or sideways with respect to the drones. “Deep sight” that seizes not only simple visual acuity but also distance feeling with the drones located far away is required. Although this “deep vision” has been cultivated to a certain extent in the driving of a car, if it is a drone maneuvering, a higher level is sought. Even when moving the drone in two dimensions, I think that the drone who moved to the back bought an accurate circle or a rectangle and also had a judgment on it. When circling the drone in the vertical direction, you can see whether you are drawing an exact circle or rectangle by looking at the circular motion from the side. Therefore, let’s devise the operation position of the pilot, let’s raise three-dimensional movement unique to drone, stick judgment, and enhance “deep vision”. If you do this training you may want to return to 2 dimensional training again and practice. There is a difference in the sense for maneuvering for each person, but the secret for improving drone is practicing anyway. There are infinite training methods by drawing 2 – dimensional, 3 – dimensional and various courses in the air as a base. In order to be able to use it for good aerial photographs and business use, you need to practice until you can master it at an unconscious level. 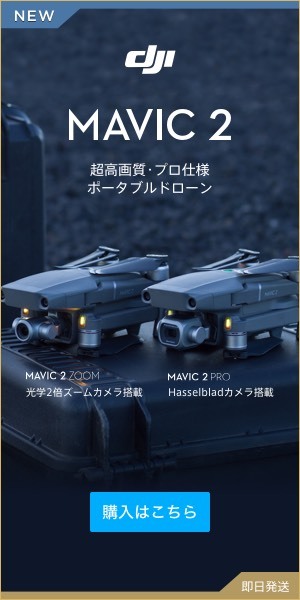 Drones are also adopted at SECOM and others, but according to what I hear it is said to grow up to a level that can be used for business after training drone’s thoroughly for one month. Phantom4pro's ability to strengthen function and safety | Phantom 4 and compared it thoroughly!